Hello friends! Today I have one more card to share from the 5 projects I made for the Die-cutting Essentials Magazine Issue 45 (on sale until 19th of December 2018). You can see the other two cards here and here. And if you’d like to see the rest of the cards you’ll have to buy the magazine to view them. This was another one of those larger, elegant makes. 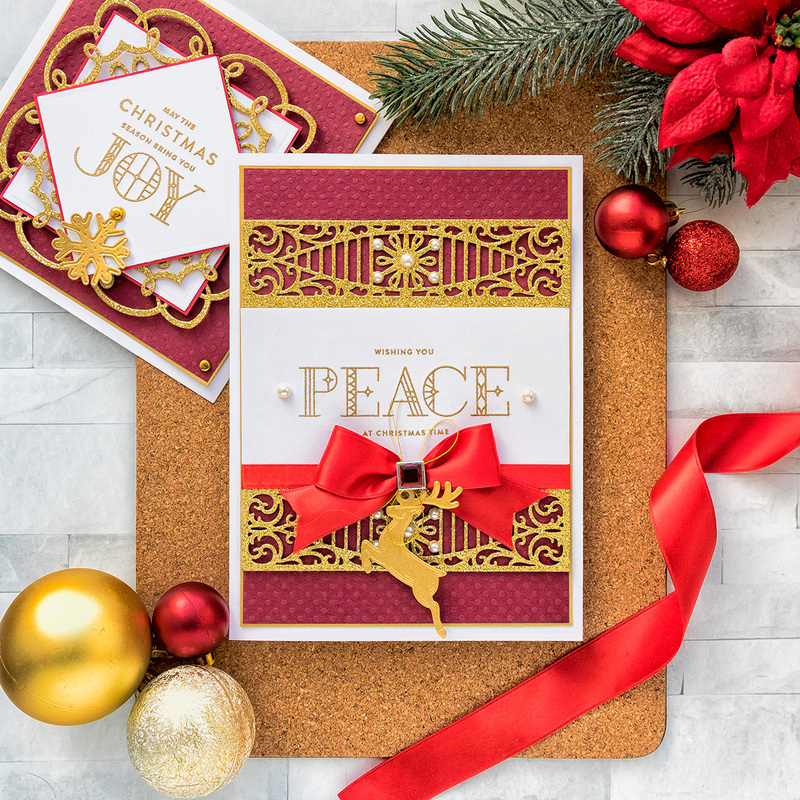 The size of the card was dictated by the size of the dies and those, designed by Becca Feeken, usually lend themselves to bigger projects. The photos are often deceiving, as we think that these cards are A2, but this one is in fact larger – 5 1/2 x 7 1/2″. I once again combined gold glitter paper along with brushed gold cardstock from FSJ and delicate dot embossed burgundy paper from My Colors Cardstock. Using classic Stained Glass Holiday stamps from Simon Says Stamp I created a sentiment for this card that reads “Wishing You Peace at Christmas” and heat embossed it in Gold embossing powder to go along with the rest of the gold on this card. I’m not one to make bows often, but this card was certainly needing one, so I made a simple bow by using red ribbon and gold thread. I even found a matching square gem brad in my stash. Create 5 1⁄2 x 7 1⁄2 ” card base out of white cardstock. Set aside. Cut Crimson mini dots cardstock to 5 x 7”. Adhere onto Brush Gold cardstock leaving a 1⁄8” border, trim Brush gold cardstock. 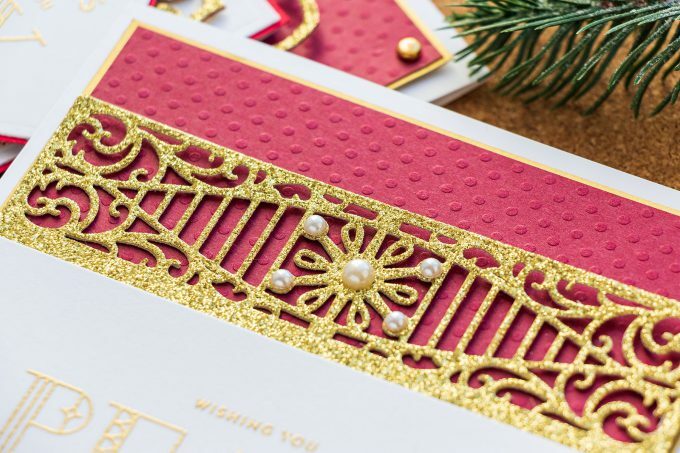 Die-cut Rectangle Insert from the S4-963 Snowflake Toppers Dies out of Gold Glitter cardstock. Cut white cardstock panel to 5” x 2 1⁄2”. Heat emboss sentiment. 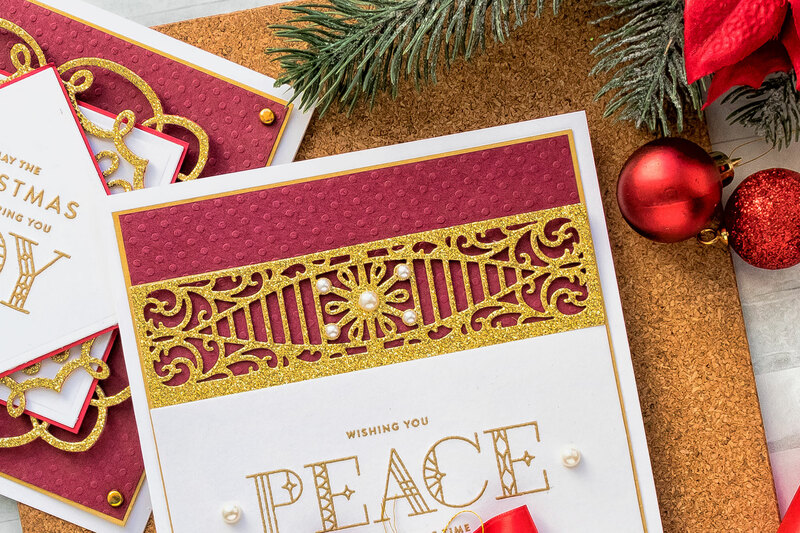 Adhere onto 2 gold glitter die cut inserts. Adhere onto Crimson panel. Wrap ribbon around panel. Secure ends from the back. Adhere panel onto card base. Tie bow, add brad, adhere onto the card. 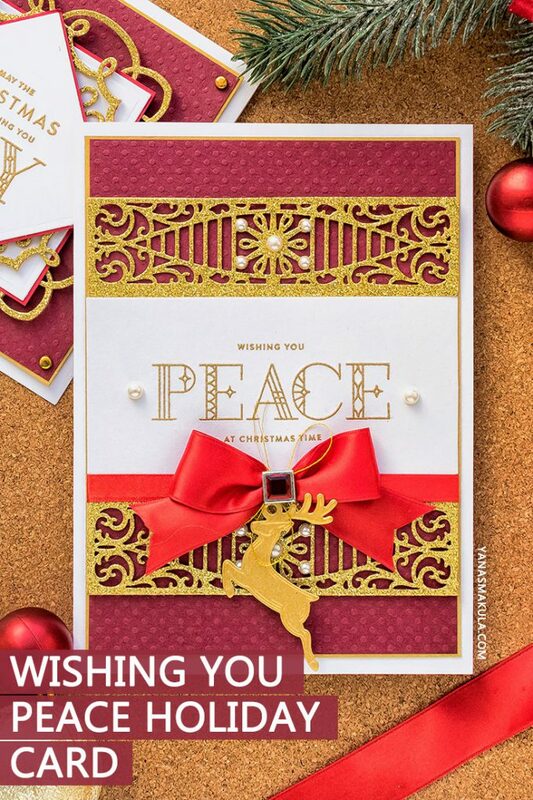 Die-cut deer using Reindeer Charm from the Charming Round Tag Dies out of Brush Gold cardstock. 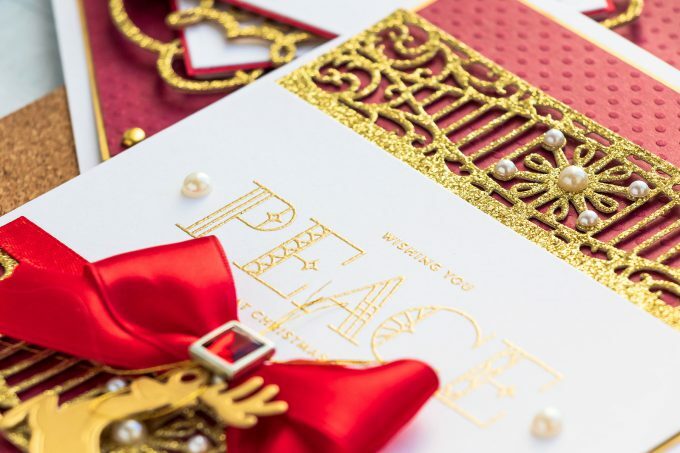 Tie onto the card using gold thread. 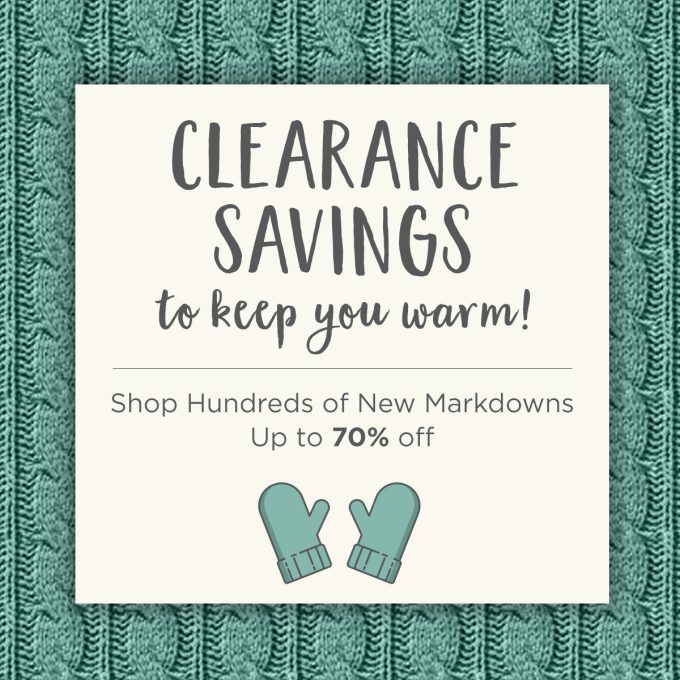 Don’t miss awesome sale offers from Spellbinders – they’ve just updated their clearance section with new products. Shop here, no code needed. Other supplies: Colors Cardstock Crimson Beauty Mini Dots 12×12” cardstock, Satin ribbon in red 3⁄8” and 1”, Self Adhesive White Pearls , Square jeweled brad in red. I love getting your postings in my in box. You are certainly one of my favourite!! Forgive me if this is not the right place to ask, but I am trying to find out what set of stamps and dies was used to make the daffodils/crocus card that illustrates your post about using marble tiles as a photo background. The card is just beautiful! Beautiful!! Love that you used a stamp set from last year (which I own). Thank you for sharing!! Wow this is gorgeous in all that glittering gold!